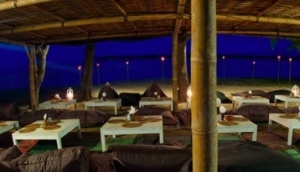 You can have it laid back or lively socialising under the stars at a plethora of beach bars, perfect for every mood. Lombok and Gili's beachfront bars are great for sundowners, good food and swapping traveller's tales and you'll never tire of the glorious ocean scenery.Enjoy live music and sports or party hard till sunrise in a hip lounge by the sea. In hotspots like Senggigi and the Gilis, you can spend the night bar hopping and enjoy cheap happy hours, tasty tapas and a cosmopolitan holiday vibe.